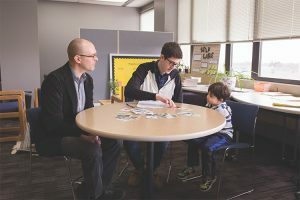 Conversation and connection are on the agenda for the UWM community on Tuesday, Oct. 9, as the university again steps up as “super host” of the Greater Milwaukee Foundation’s On the Table event. In 2017, UWM faculty and staff hosted more than one dozen conversations, from discussions about the future of K-12 education and entrepreneurship to equity and inclusion. 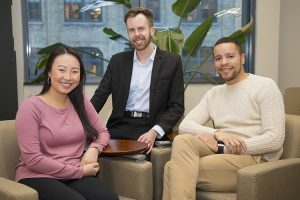 UWM faculty, staff, students and alumni joining in these friendly, focused talks were among more than 5,400 people across the region who participated in the foundation’s inaugural On the Table event last October. 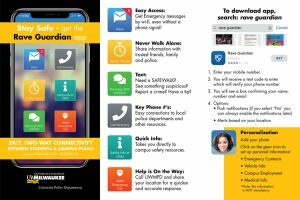 Joan Prince, vice chancellor of global inclusion and engagement, is renewing the call for UWM faculty, staff and students to host a table at UWM’s campuswide conversation from 8:30 to 9:30 a.m. on Oct. 9 in the Wisconsin Room of the UWM Student Union. Coffee and refreshments will be served from 8 to 8:30 that morning, and the Wisconsin Room can accommodate up to 20 tables, eight seats per table. To be a table host, all one needs is a conversation topic or prompt focused on moving Southeastern Wisconsin forward, two to seven table guests to join them for the talk and an email RSVP to Prince at jprince@uwm.edu. Individuals who wish to join an On the Table conversation but who cannot host a table also are welcome to attend, but should indicate their “guest” status in their RSVP. Another benefit of the On the Table experience, said School of Education dean and returning 2017 host Alan Shoho, is who is at the table. “The On the Table approach works to bring together a diverse group of individuals to discuss solutions towards vexing societal issues,” said Shoho, who will attendin a conversation about equity in early childhood education on Oct. 9. To keep the conversation forward-moving and impactful, Global Inclusion and Engagement will open up applications for UWM On the Table mini-grants later in October. 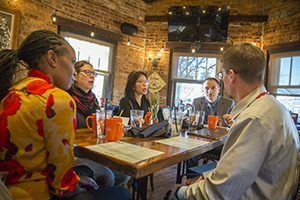 UWM table hosts can apply for grants to implement concrete ideas, next steps and future conversations stemming from conversations initiated at UWM’s On the Table convening. Additionally, a round of “Ideas to Action” funds of $500 to $2,500 are being sponsored by the Greater Milwaukee Foundation. Applications are open Oct. 10-31 at onthetableMKE.org. 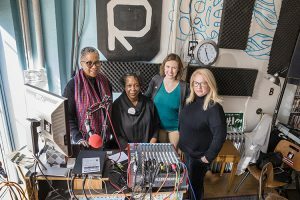 According to Laura Glawe, UWM double alumna and a vice president of the Greater Milwaukee Foundation, the 2017 On the Table conversations touched 73 ZIP codes, featuring an equally broad range of experiences and perspectives.